Devbridge Group is a custom software design and development company that partners with FORTUNE 1000 enterprises to accelerate exceptional digital products to market. Founded on the belief that software shouldn't be mediocre, the Devbridge creates mission-critical software at scale under aggressive deadlines through product thinking and agile delivery. 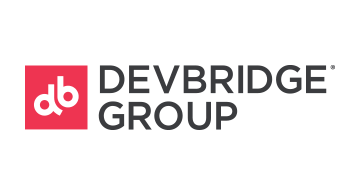 Devbridge Group operates from offices in the United States, Canada, the United Kingdom, and Lithuania.